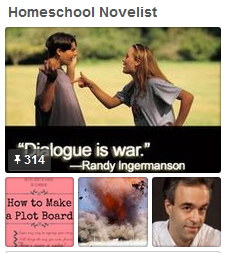 Here we go with another technical lesson, working to make our homeschool co-op class blogs more reader-friendly. Did you know that the main point of the sidebar is to help your readers, not for you? That’s true! So today we’ll find out how to make it as helpful as possible. We are using DownWRITE Funny by Randy Larson as a “textbook” for editing exercises and for occasional silly writing prompts. This week, we’ll work with a few more run-on sentences. Orally in Class: pages 16-17. On Your Own: Do as much of pages 18-19 as you like. Imagine that a reader has discovered your blog, and he likes it. What will that reader want to do? Subscribe to your blog, so he doesn’t miss anything. Search for topics he is interested in. Find out more about you through your About page, and maybe send you a message. See what else you have written. Read what others say about your posts. Check out your blogging friends. So use this week’s handout to set up a sidebar that will help your reader. Be sure to KEEP this handout, because you will probably need to redo your widgets any time you change your blog’s theme. If you’d like to read more information about the widgets and why we use them, go to Sidebar Widgets. Add a new Page, named Contact. On your Dashboard, click Pages, and then click Add New. Or add a Contact Form to your About page. Click Pages, and then click your About page. This should open up the Editing window. 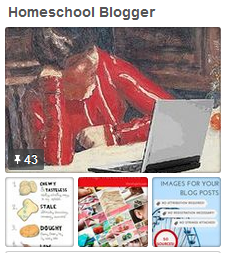 If you have extra time this week, pick your favorite blog post and send it in to the Homeschool Kids Blog Carnival. Click here to fill out the submission form. This entry was posted on Monday, September 20th, 2010 at 6:00 am	and posted in Beginner, Class Notes. You can follow any responses to this entry through the RSS 2.0 feed. I have learnt so much from your lessons! Thank you! A new reader who likes your blog may want to read it from the beginning. Provide archives AND a link to your first ever post. I have, on more than one occasion, spent more than 20 minutes hitting the “previous post” button on someone’s blog trying to find the beginning with no idea if they have been blogging one month or eight years. Another thing, if your blog is primarily about your children, particularly educating your children, readers want to know their AGES, their ages at the time of the post…not their ages at the time you last updated your “about” paragraph. Last one, this is optional because it is possible to for the reader to accomplish this on their own, they might want to translate your blog into their native language. That’s true, occasionally a reader will want to go the whole way back to the beginning, but I think it’s pretty rare. Most of us don’t have that much free time. But I can see how an archive widget, hidden away at the very bottom of the sidebar, might help such eager readers. I think wanting to read the original post might be more common — or at least, wanting to know the types of things that are usually shared in a first post: what the blog is about and why the author is writing it. That’s why I encourage my students to copy their “Hello World” post into their About page, to make that information easy to find. My lego fans here love your lego picture!!! I’m always amazed at the creativity of the photographers on Flickr — ever so much better than anything I could come up with on my own!